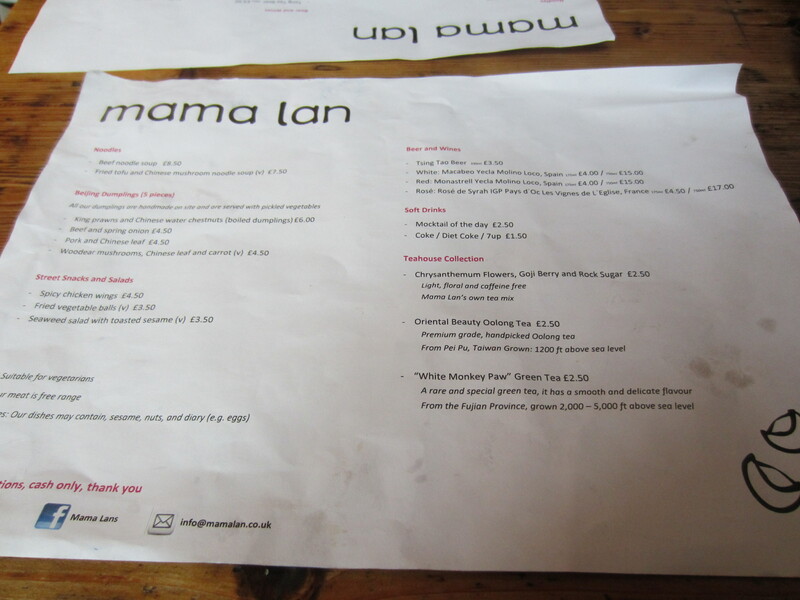 Mama Lan first started as a supper club and eventually by popular demand opened a permanent space in Brixton Village. 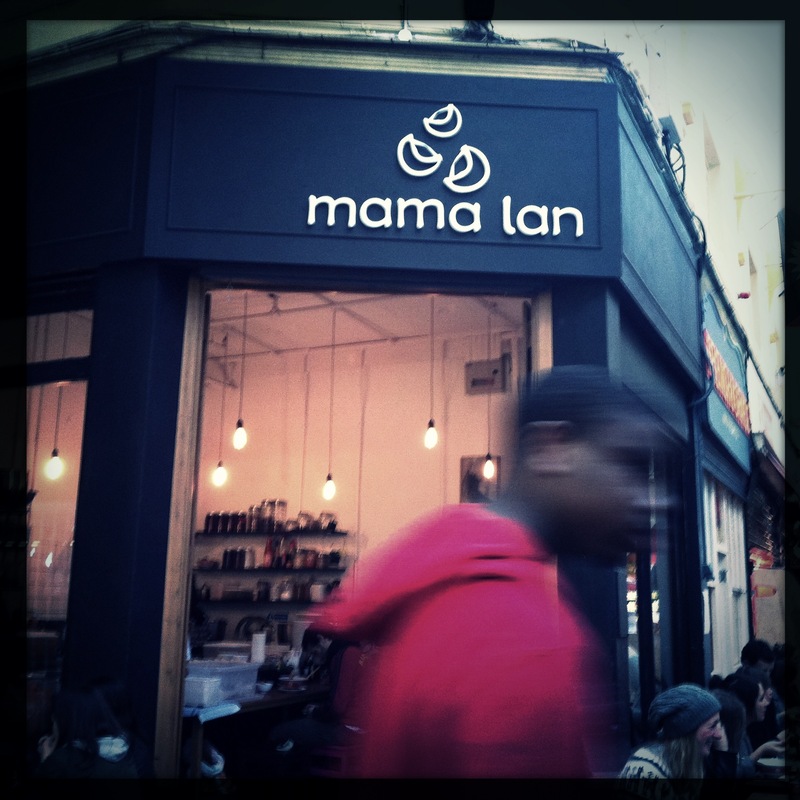 Mama Lan brings you the taste of Beijing street food to London. It was one of those weekends where there were constant underground works on the TFL I don’t even remember which station we got off to take a bus down to Brixton. Lucky for us, Brixton village was easy to find, I spotted the blue sign for “Brixton village”. 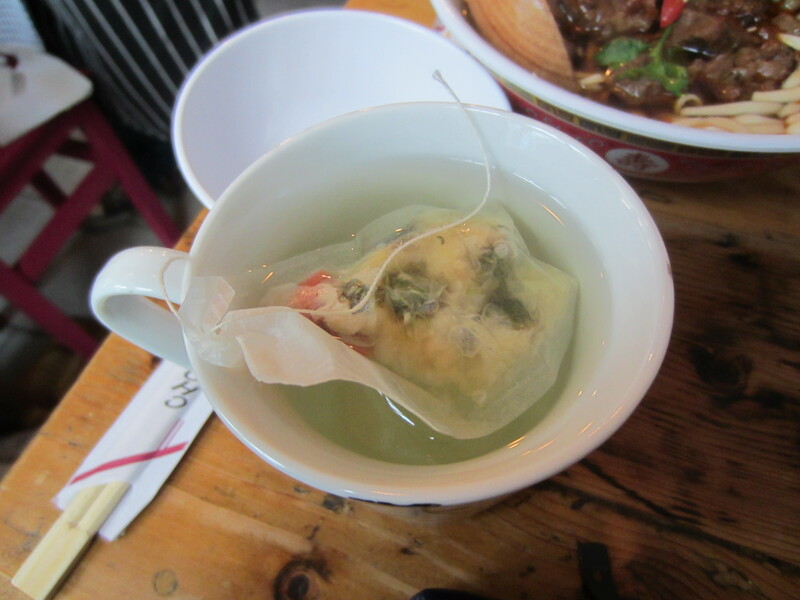 Brixton village is home to an international fair of restaurants all under one roof. All the different smells from all the surroundings can play with your mind. Mama lan was an easy to spot, wooden benches filled with happy diners reminded me of the streets food stalls in Hong Kong. 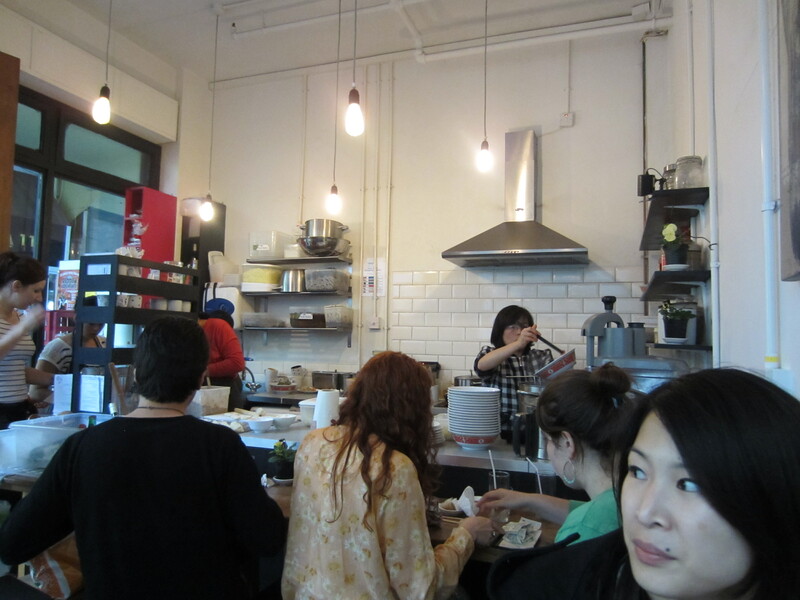 We managed to get seats within 5 mins; I knew I wanted the handmade dumplings. With 4 different dumplings on offer my friend and I opted for the meat variation. Each serving came with 5 pieces with chunky picked vegetables on the side. Meat is sourced from the quality butchers The Ginger Pig, the meat is juicy and tender however didn’t quite had enough flavour in the pork. The beef versions were a lot tastier. My friend had more of an appetite and ordered the beef noodle soup. 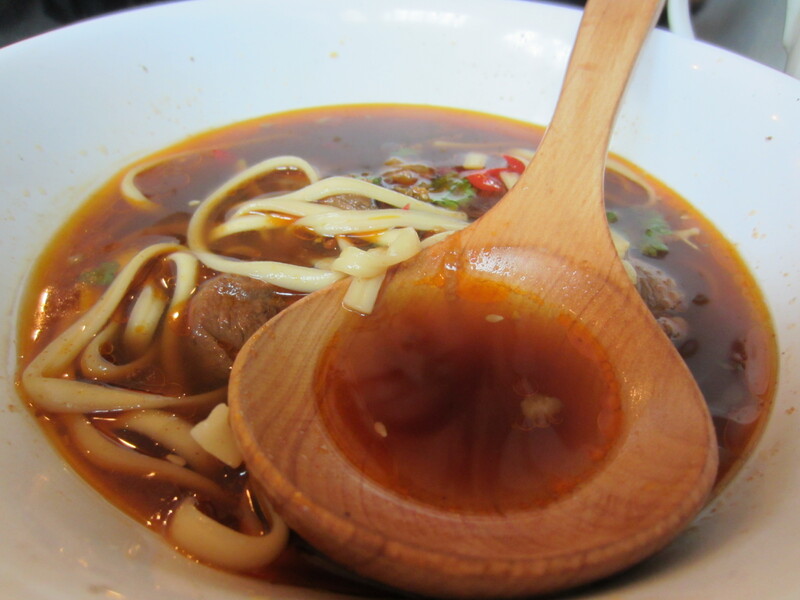 The bowl of beef noodle soup broth was dark and rich in colour, with oil floating on the surface. 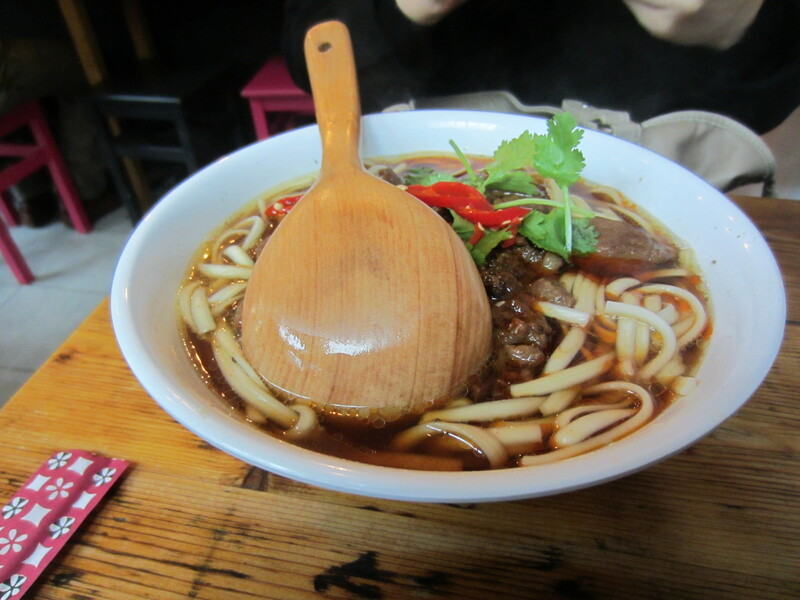 The noodles was thick and chewy, ummm the beef was tender. 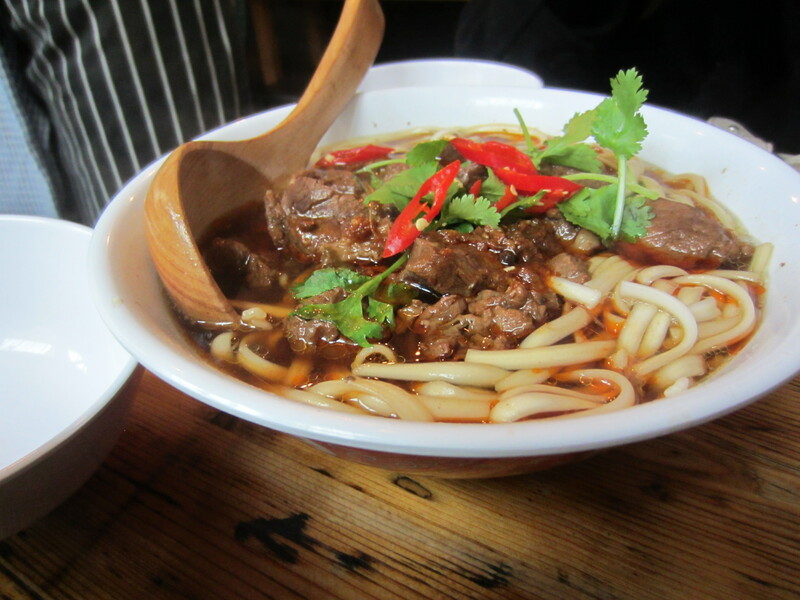 This dish reminded me of my mum’s home made beef noodles she makes. Goji Berry and Rock Sugar. 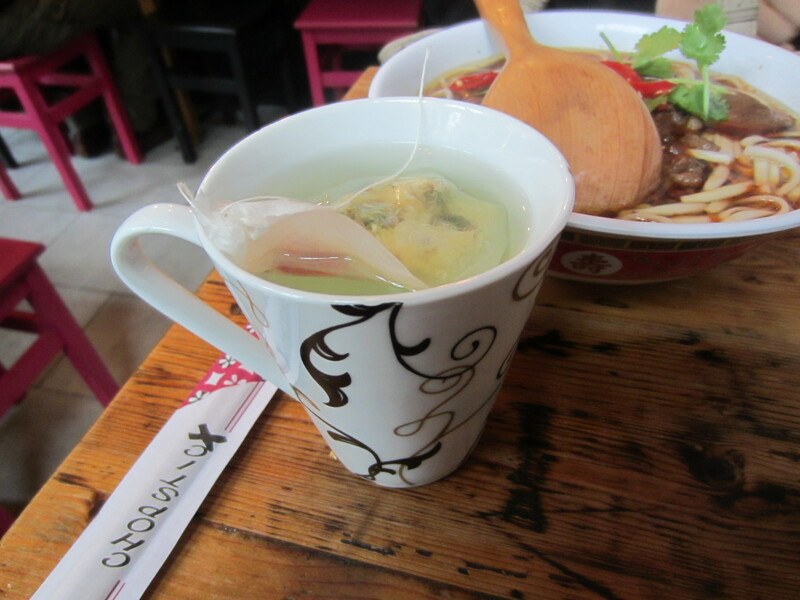 The tea was sweet and had subtle earthy notes. 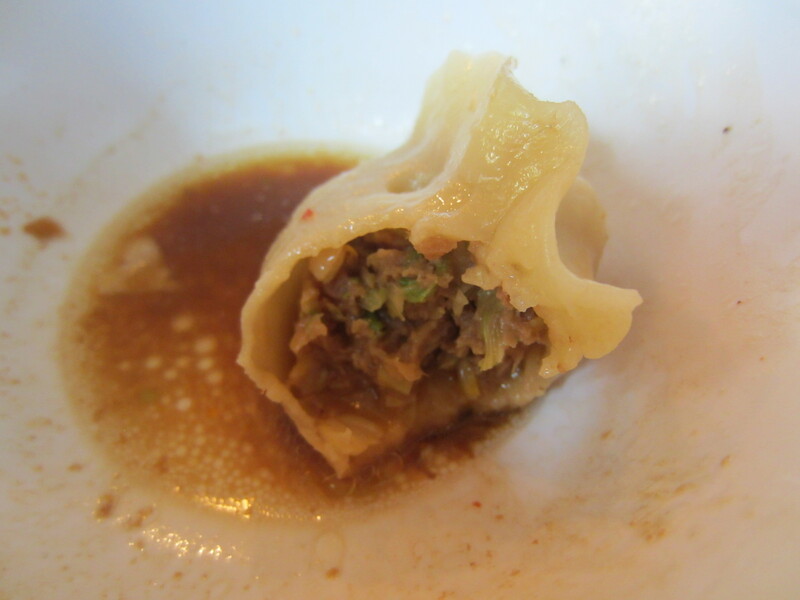 Overall I think the beef noodles were really good, the dumplings were just ok, the beef one is worth trying. Next time I want to try the chilli fried chicken wings. 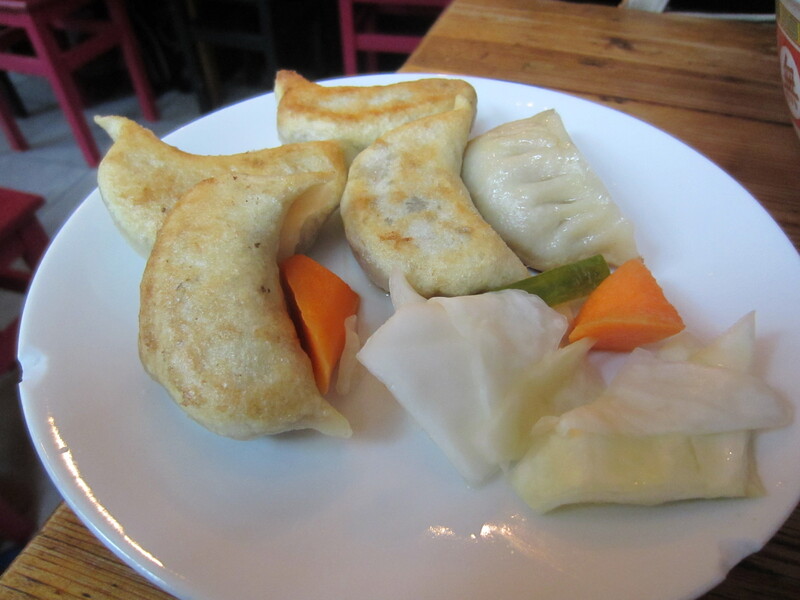 this place easily combines two of my favourite food things: ginger pig meat (I’ll never forget their T-Bones) and dumplings. Can someone beam me back to London please?! 🙂 thanks for dropping by, likes, comments and follow! Haha ginger pig is good! Dumplings I love too! Can’t wait until I try the fried chicken! 🙂 thanks letting me know! I read it’s from ginger pig on a few sites!